If cables or hoses are already in place and fixed to the floor then you will need a “drop over” solution. 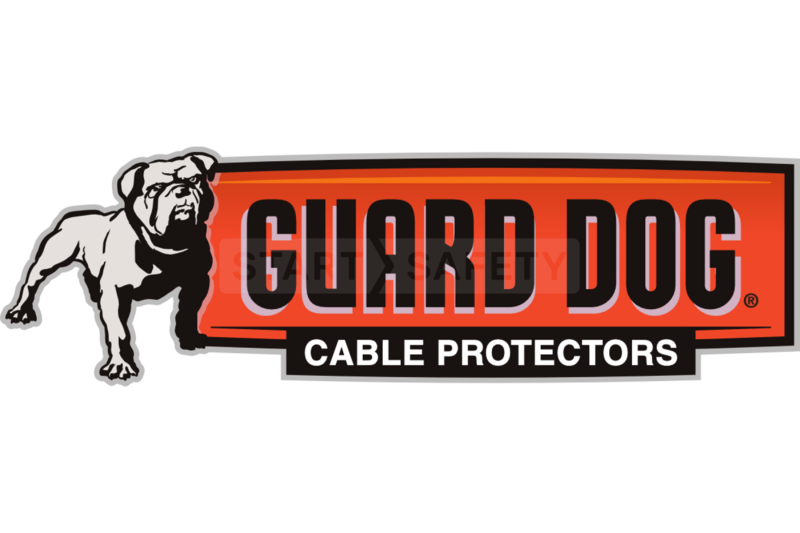 This version of the Guard Dog system is ideal for these instances, it simply drops over cables offering protection from any traffic passing above. 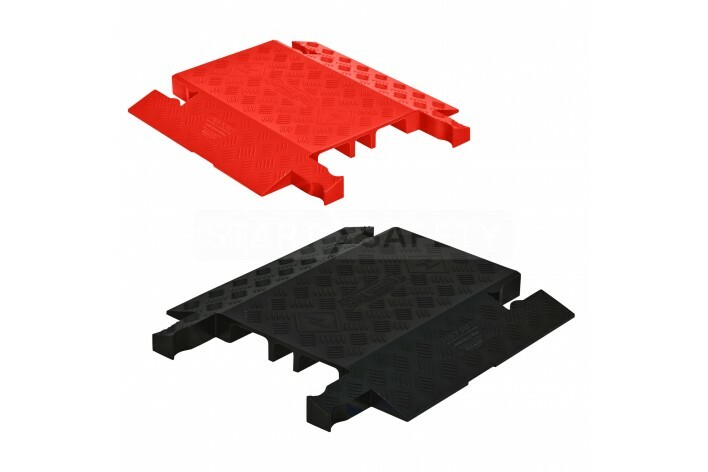 The Guard Dog® Drop sections are 18” long each, and are super lightweight at only 9lb. per unit. 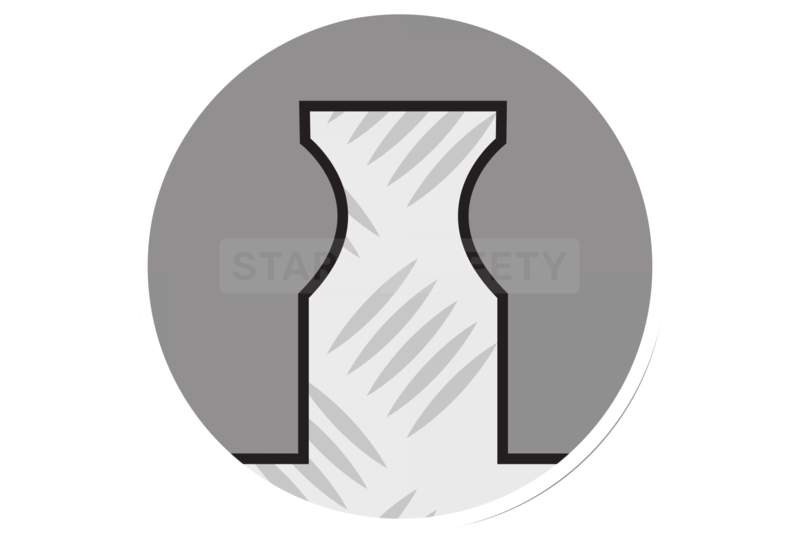 They are super strong and able to take similar loads as the standard Guard Dog cable protectors. Due to its small size this drop-over version of the Guard Dog® system is very fast to deploy on site, even with only a small team a large run can be completed very quickly. 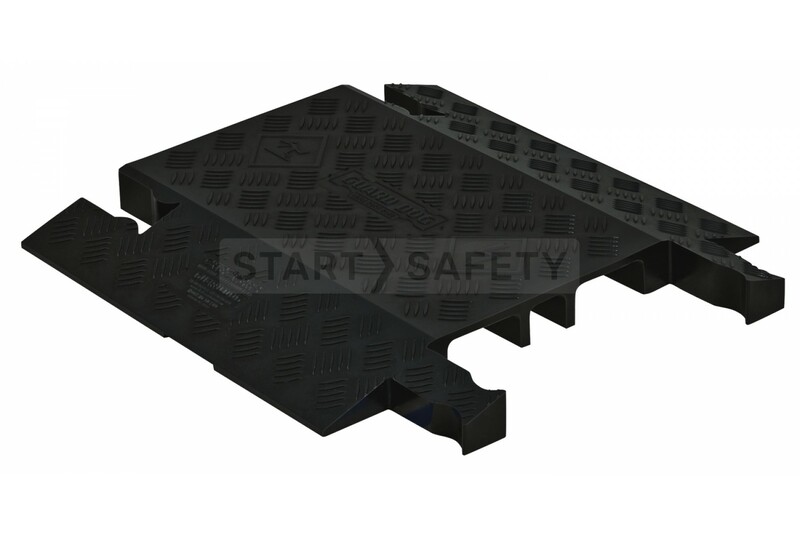 The drop over three channel shares the same connector dimensions and spacing as the standard lidded 5 channel Guard Dog® allowing them to be connected together if required. 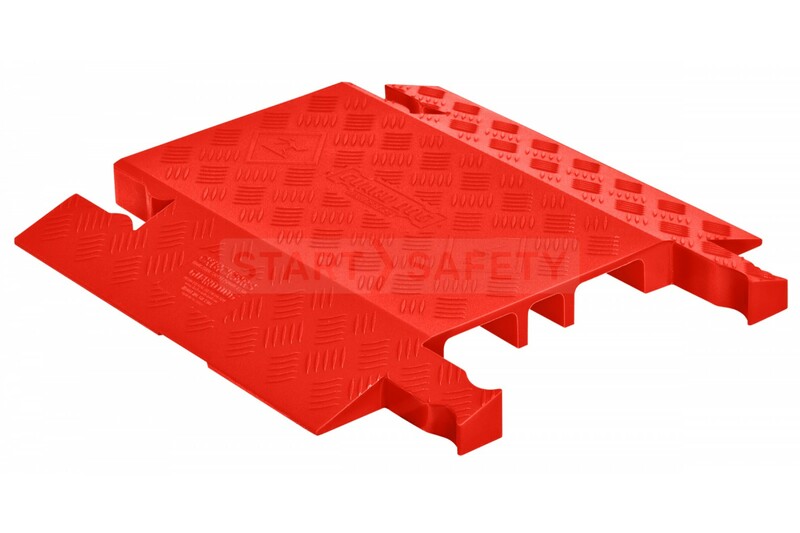 The compact size of the drop over Guard Dog® means that it can be kept on the back of a truck and used as a hose or cable bridge if needed when on site. They can however, if needed, be left out permanently, they have been thoroughly tested and are suitable for use in all seasons. Need help choosing the right cable protection for your application?